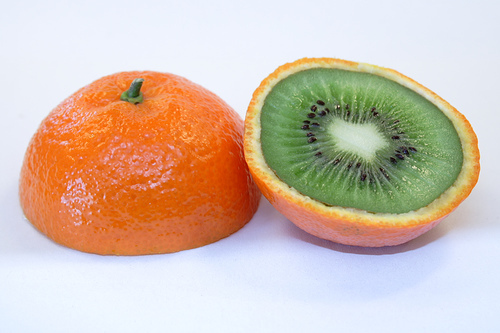 Genetically modified food: Information and risk in the market. The issue of GMOs in food market is closely related to the debate between liberalization and regulation, as demonstrated by the disputes in the WTO. Both asymmetry of information and perceived risk are two key assumptions for precaution in the EU. But, solutions at the US are quite different; as a figure, nine licenses have been approved in the EU while US has issued almost sixty. By Tamara Guirao. Mgr: Dr. Sanja Pavlica. Agro-chemical companies claim market efficiency as a regulatory mechanism, hoping that the logic of the market would internalise the risks of GM foods, as these are supposed to be minimal or nonexistent. Moreover, these companies have made significant investments in R & D that will not be rewarded if the market is not liberalized or patents are not approved. Following their arguments, the liberalization would increase competition, thereby resulting in visible improvements through quality and price. From this standpoint is also essential to allow the consumer to choose, as protection and labelling increase negative perception and production costs. On the other hand, there are several reasons to regulate. Asymmetry of information may be the primary. Also to be taken into account, externalities and risk, which may be important, and which are difficult to measure precisely due to this asymmetry of information. The need for regulation protects a public good, “food and environmental security.” From this point of view, controls and labelling are forced, but the tests for evaluating the products are quite primitive and unreliable. There are also no standardized laboratories in all countries, so as to provide standard procedures such as IP (identity preservation). Second, as discoveries are protected by patents owned by a few (and powerful) companies, we can define this market from the perspective of dominant position. Therefore regulation is currently justified as a mean to prevent a genetically modified monopoly. Neither front has provided sufficient evidence to determine accurate information about the pros and cons of GMOs and whether there really is a risk. The risk can come both from the non-limiting inventions and thus the direction they take, as from the difficulty of measuring proper precautions so as not to be excessive. Asymmetric information appears on the quality present in many markets and can be overcome by several mechanisms: price-signalling, advertising, tracking … Sometimes consumption does not give a private signal about the quality, as in the case of food products, especially those containing GMOs or if there is some or it is provided it is at a very long term. This is a belief market, a market that differs from the experience market because it is based on intangible attributes. Market signals are inefficient for this type of property, so the public sector tends to establish criteria to signal product quality. Given the asymmetry of information and a difficult risk management in the dilemma of restricting the marketing or providing the necessary information, the public sector opted for the latter. Hence, EU created publicly funded programs in Biotechnology as BRIDGE, while the Clinton Administration developed research programmes on the potential risks of genetically engineered crops to both consumers and the environment, followed by a FDA review of bioengineered foods. Thanks to its feasibility, labelling strategy is widespread in Europe. But in the US, FDA limits labelling to those cases where risk has been proven and thus no GMO products are today labelled as such, unless to differentiate it from its non-GMO pair. However two questions arise. The first is to know how far the signal emitted by the Public Sector is credible and how information is obtained. The second is how to avoid perverse effects of labelling that “criminalize” even more GMOs under a perspective of “who forewarned is forearmed”. In this sense, the issue of market protection from the EU side against US agricultural products has also to be taken into consideration. The precautionary principle and its applications, such as the Cartagena Protocol, the Delaney clause, the “Right to Know” Act and the European Commission legislation are evidence of the impact of regulation on GMOs. The precautionary principle entitles the authorities to act accordingly, introducing some modifications to the legal status of any innovation because its owner is required to take into account any risks, while those who fear any danger are entitled to anti-evaluations funded by the same owner. Excessive caution can lead to paralysis of action if the belief of the players is captured by fear. This catastrophic excess leads to extremely strict rules, maximin type, which, in the European case, have blocked the legislature and approval process for patents, giving the fruit a de facto moratorium and maintaining the status quo. This caution has also lead to a GMO ban from large food companies in the US. The precautionary principle should be used to inform consumers, to protect the environment and care about risks to health. Consumers would pay extra on their purchases to get an informed decision whether or not to purchase GM foods, an extra that falls within the post-materialist utility. Once again, in the absence of complete information, labelling does not derive directly from health issues, but from consumer choice. Other systems present the available information, such as traceability, the existence of a public agency of Food Security Information or liability regimes. Across the main problem, the role of the public sector can be seen as a moral hazard problem, since not only public funds go to research projects, but it decides which of them are allowed to enter the market. Who watches the watchman? Allegations of producer countries in the WTO stating that this is a problem of agricultural protection and not risk aversion… are to be trusted? Why the European Union rejected the import of GMOs and accepted it as humanitarian aid to less developed countries? These issues also impact on the lack of information and moral hazard. As pressure put on Public Sector, consumers and public opinion is backfiring, attitude should shift to more responsible and eco-friendly initiatives based on CSR. First, a kind of ISO for GM food, tracking the process from the research and engineering to the shop shelf, shall be envisaged, so as to raise trust. Moreover, if GM food is to be seen as complementary (and not substitutive) of organic agriculture, research should also allow recovering traditional biological production. Third, communication on these products may assume risk and liability in a more clear bspeech, adding features as carbon-print, water print and health impact. Category Mgr: Dr. Sanja Pavlica.